The Honeywell 6152V is a Fixed English keypad with a Voice Annunciation feature. It will work with a Honeywell VISTA Panel, and it serves as a good secondary controller. The keypad will speak out a Voice Descriptor whenever a system zone is triggered. 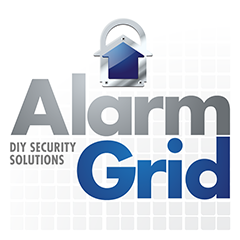 Buy the Honeywell 6152V from Alarm Grid. The Honeywell 6152V Fixed English Keypad with Voice Annunciation provides a secondary keypad option for a Honeywell VISTA Panel. As a Fixed English keypad, the 6152V cannot be used for deep level programming, and it should not serve as a main controller. A good keypad for that job is a 6160. But if you're looking for a good secondary controller, then the 6152V can fit the bill just fine. The biggest draw of the 6152V is the Voice Annunciation feature. This will have the keypad speak out a voice descriptor whenever a zone is faulted. It can also speak out the current system arming status. This status will be displayed on the keypad's backlit screen as well. The keys are also backlit for easy operation in the dark. The keypad measures in at 4.88"H x 6.93"W x 1.02"D.
The 6152V offers single-button arming to make it easier for users to perform quick system actions. The keypad also offers four function keys labeled A-D for performing immediate programmable actions. For burglary and fire alarms, an integrated piezo-electric siren will activate to alarm building occupants. Volume control for non-alarm sounds is available. A built-in microphone allows a user to leave messages for later playback. Please note that no tamper cover is included.